Abstract: Hobbes has long been associated with the sexual ‘libertinism’ of the Restoration period. The connections that are commonly made are crude, misrepresenting his philosophy; moreover, the attitude to sexual matters expressed in many of his published works was quite puritanical. Yet there are elements of his thought that could be taken to support a libertine agenda: hostility to Augustinian teaching on lust and chastity; the idea that marriage laws are merely human; a recognition of self-regarding elements in sexual psychology; and the idea that desires in themselves are not sins. On this last point, however, Hobbes’s distinction between desires and intentions to act, combined with his account of the role of imagination in desire, does make it possible to attribute to him a distinctly non-libertine theory of how sexual behaviour is modified in civil society. Abstract: Although the distinction between counsel and command in Hobbes’s works, especially Leviathan, has been often acknowledged, it has been little studied. This article provides background and analysis of this critical distinction by placing it in conversation with the works of Henry Parker and in the context of the English Civil War, especially as regards the discussion of prudence, interests and crisis. In so doing, three conclusions can be drawn. First, it becomes clear that for both Parker and Hobbes, counsel serves as a foundation to their arguments about the placement and function of sovereignty. Second, in grounding their arguments about sovereignty in the discourse of counsel, both authors – intentionally or unintentionally – undermine the previously critical discourse of counsel. Finally, we see that especially Hobbes’s engagement with and overthrow of the discourse of counsel profoundly alters of the terms and focus of modern political debate, moving from a ‘monarchy of counsel’ to a discussion of political sovereignty. 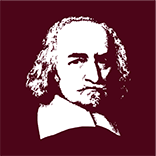 Abstract: A striking feature of Thomas Hobbes’s account of political obligation is his discussion of the Fool, who thinks it reasonable to adopt a policy of selective, self-interested covenant breaking. Surprisingly, scholars have paid little attention to the potential of a psychological defense of Hobbes’s controversial claim that the Fool behaves irrationally. In this paper, I first describe Hobbes’s account of the Fool and argue that the kind of Fool most worth considering is the covert, long-term Fool. Then I advance and critically assess two psychological arguments according to which the Fool’s policy of self-interested covenant breaking is prudentially irrational. The first argument holds that, taken together, the deep guilt from early-stage covenant breaking, the cumulative guilt from continued covenant breaking, and the high statistical risk of detection during high-volume covenant breaking (which increases greatly when one is desensitized to guilt) render the Fool’s policy irrational. The second argument holds that the Fool’s policy is irrational because it puts him at risk of adopting a psychologically intolerable view of his fellow covenanters and, specifically, the extent to which they can be trusted. Abstract: This essay challenges the analogy argument. The analogy argument aims to show that the international domain satisfies the conditions of a Hobbesian state of nature: There fails to be a super-sovereign to keep all in awe, and hence, like persons in the state of nature, sovereigns are in a war every sovereign against every sovereign. By turning to Hobbes’ account of authorization, however, we see that subjects are under no obligation to obey a sovereign’s commands when doing so would contradict the very end that motivated the authorization of the sovereign in the first place. There is thus an important disanalogy between natural and artificial persons, and this accordingly produces different reactions to the state of nature. This issue also contains reviews by Nicholas Gooding of Images of Anarchy: The Rhetoric and Science in Hobbes’s State of Nature by Ioannis D. Evrigenis, and by Juhana Lemetti of the Clarendon edition of Leviathan, edited by Noel Malcolm. About this Book: A new German edition of Thomas Hobbes’s important dialogue Behemoth, or The Long Parliament (1681), translated, edited and introduced by Peter Schröder. Peter Schröder discusses his new edition here. About this Book: Robin Douglass presents the first comprehensive study of Jean-Jacques Rousseau’s engagement with Thomas Hobbes. He reconstructs the intellectual context of this engagement to reveal the deeply polemical character of Rousseau’s critique of Hobbes and to show how Rousseau sought to expose that much modern natural law and doux commerce theory was, despite its protestations to the contrary, indebted to a Hobbesian account of human nature and the origins of society. Throughout the book Douglass explores the reasons why Rousseau both followed and departed from Hobbes in different places, while resisting the temptation to present him as either a straightforwardly Hobbesian or anti-Hobbesian thinker. On the one hand, Douglass reveals the extent to which Rousseau was occupied with problems of a fundamentally Hobbesian nature and the importance, to both thinkers, of appealing to the citizens’ passions in order to secure political unity. On the other hand, Douglass argues that certain ideas at the heart of Rousseau’s philosophy—free will and the natural goodness of man—were set out to distance him from positions associated with Hobbes. Douglass advances an original interpretation of Rousseau’s political philosophy, emerging from this encounter with Hobbesian ideas, which focuses on the interrelated themes of nature, free will, and the passions. Douglass distances his interpretation from those who have read Rousseau as a proto-Kantian and instead argues that his vision of a well-ordered republic was based on cultivating man’s naturally good passions to render the life of the virtuous citizen in accordance with nature. Abstract: This paper considers Hobbes’ scientific study of the human mind and the method that structures it. I argue that Hobbes approaches the mind – as he approaches the inanimate natural world – in accordance with the method of “physics” as set out in the fourth and last part of De Corpore. I discuss this method and show how and why it applies to the study of the human mind, in particular in his most famous exposition of the topic in Leviathan. This understanding of Hobbes’ method allows us to reconsider and reject a number of criticisms of his work: first, that Hobbes’ scientific study of the human mind is inconsistent because it also relies on introspection; second, that his approach fails because it is not, and cannot be, fully deductive, as a result of which the introduction of psychological concepts is unwarranted; and, finally, that his scientific study of the mind is superfluous because he never sufficiently shows it is important for his moral and political philosophy to understand the mind in accordance with the method of physics. Abstract: The comparison that Leo Strauss develops with Hobbes’s thought represents the heart of his questioning on modernity: whereas Machiavelli is the founder of modern political philosophy, Hobbes is the founder of modern ideal of civilization described in terms of cohabitation of humankind grounded on rational criteria. The real core of Hobbes’s interpretation of Strauss is the anthropological and moral dimension. Against Plato and Aristotle, Hobbes marks the start of the modern tradition of moral right considered as different from the classical idea of moral law. Nevertheless, Hobbesian natural right is not only different from the natural law of Classical Greece, but also from the naturalistic principles of mechanism. For Strauss, indeed, the Hobbesian view of natural right expresses a subjective and legitimate claim, independent of any obligation or law in a form that in any case cannot be reduced to a set of natural appetites. Therefore, Hobbes’s political philosophy does not rest on the application of the method of new Galilean science to politics, but on his particular moral vision, based on his theory of passions. Abstract: Against the dominant view in contemporary Hobbes scholarship, I argue that Hobbes’ philosophy of language implicitly denies that linguistic expressions (names) refer to anything. I defend this thesis both textually, in light of what Hobbes actually said, and contextually, in light of Hobbes’ desertion of the vocabulary of suppositio, which was prevalent in semantics leading up to Hobbes. Hobbes explained away the apparent fact of linguistic reference via a reductive analysis: the relation between words and things wholly reduces to a composite of the relation of signification between words and conceptions on the one hand, and the relation of representation between conceptions and things on the other. Intentionality, for Hobbes, accrues to conceptions, not words. Abstract: Few aspects of Hobbes’s thought received as much recent attention as his religion; yet there are no comprehensive analyses of Hobbes’s biblical exegesis. To illustrate a possible method and the value of such studies, this article traces Hobbes’s strings of references in Leviathan, Part III. It shows that despite ascribing the authority to finalise, censor, and otherwise control biblical editions to the Sovereign, Hobbes preferred the Geneva to the King James Bible. The article also considers some implications of Hobbes’s Bible interpretations for the constitutional design of his Christian Commonwealth, including representation, the Christian Sovereign, anticlericalism, and the Second Coming. Johan Olsthoorn: ‘Hobbes on justice, property rights and self-ownership’, History of Political Thought, vol. 36, no 3 (2015). Abstract: This article explores the conceptual relations Hobbes perceived between justice, law and property rights. I argue that Hobbes developed three distinct arguments for the State-dependency of property over time: the Security Argument, Precision Argument and Creation Argument. On the last and most radical argument, the sovereign creates all property rights ex nihilo through distributive civil laws. Hobbes did not achieve this radically conventionalist position easily: it was not defended consistently until the redefinition of distributive justice as a virtue of arbitrators in Leviathan. The argument is partly advanced as a critique of C.B. Macpherson’s possessive individualist reading of Hobbes.